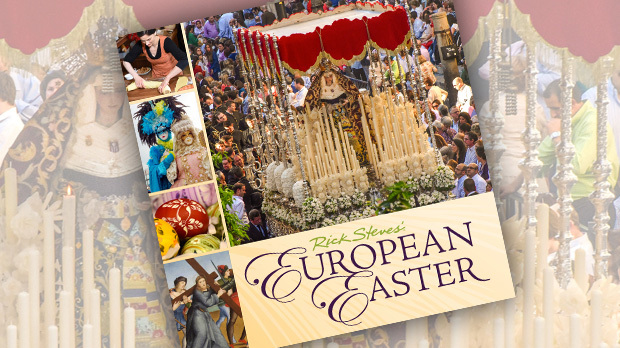 To see Europe at its craziest, join the wild party that kicks off the reverent Easter season. 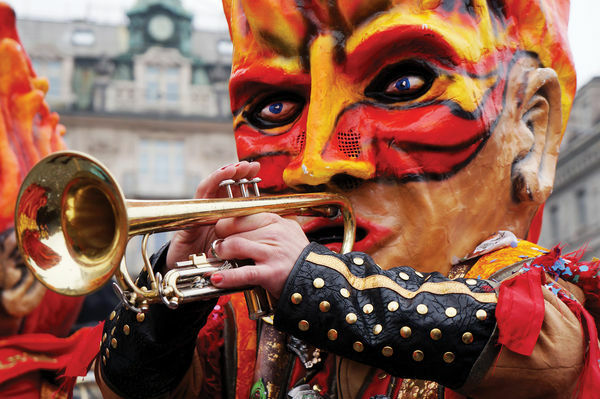 Carnival is a boisterous time before the traditional period of abstinence and piety of Lent. Its finale — what we call Mardi Gras — is held the day before Ash Wednesday. Here are a few of the most colorful events. Venice has hosted what locals call "Carnevale" since at least the 13th century, when Europe's wealthiest traveled there to do things that were forbidden at home. Everyone wore masks — thus remaining anonymous — and the canal-laced city is now arguably the world's mask-making capital. Today, Venice's Carnevale draws thousands from around the world. St. Mark's Square is populated with elaborately bedecked lords and ladies, cavorting and gavotting. These people don't merely don a costume — they inhabit a role, gesturing slowly with pantomime-like motions, posing under the arches of the lacy Doge's Palace, beside a weathered lion statue, or while cruising in a decorated gondola. As dusk falls, revelers crowd the pubs, enjoying cicchetti (appetizers) and cheap wine. They might stumble on a party erupting in a piazza or in someone's home that's open to almost anyone in costume. Meanwhile, fancy palazzos along the Grand Canal or on St. Mark's Square host more formal parties. Some are open to strangers (for a fee), some are by invitation only, and some are very expensive, with thousand-dollar-a-plate spreads. Many Venetians have made it a tradition to gather with friends every Carnevale. It's a time to take a break and let some fun and fantasy take over. And as it was centuries ago, what happens in Venice…stays in Venice. The city of Luzern (a.k.a. "Lucerne" in English) hosts the biggest carnival in Switzerland. Here, masks are huge heads made of papier-mâché — some whimsical, but many with a darker edge, featuring horned devils and Gothic caricatures. There's often a satirical political bite to the masks and floats not normally seen in Swiss society. Festivities begin a week before Ash Wednesday, culminating on Fat Tuesday (just before Lent) with the main parade. A driving beat wakes up the city like a mobile alarm clock. At first, things are pretty orderly. Colorful floats, costumed marchers, and brass bands follow the parade route, with spectators lined up behind barriers. Eventually, groups split off, wandering the city, as the party goes on and on. People clog the streets. Even five-star hotels open their doors and let the partying public celebrate inside. As dusk settles in, the marching bands somehow reorganize for a long final parade. Musicians demonstrate that famous Swiss stamina, playing on and on. After the parade, the party continues in the streets into the wee hours. All this craziness is somehow still very Swiss. The streets are never dangerous, just filled with a relaxed vibe of goodwill. And at the end, the street-sweeping machine is there to make sure everyone wakes up the next morning to cleanliness and order. Some of Europe's oldest Easter traditions are found in tiny Slovenia, where Carnival is called Kurentovanje (koo-rent-oh-VAWN-yeh). Because of the country's mountainous landscape, isolated villages maintain local customs. Carnival season culminates in Slovenia's undisputed Carnival capital, the town of Ptuj. (How to pronounce it? Just spit it out. P-TOO-ee!) The celebration lasts several days, with parades, masked balls, concerts, kids' events, bar-hopping, and general debauchery. The star of the show is a big shaggy creature called Kurent, with a long red tongue, horns, snout, whiskers, and two red-ringed eyes. He's a fun-loving pagan Slavic god of hedonism — a Slovenian Bacchus — whose role is to scare off winter. 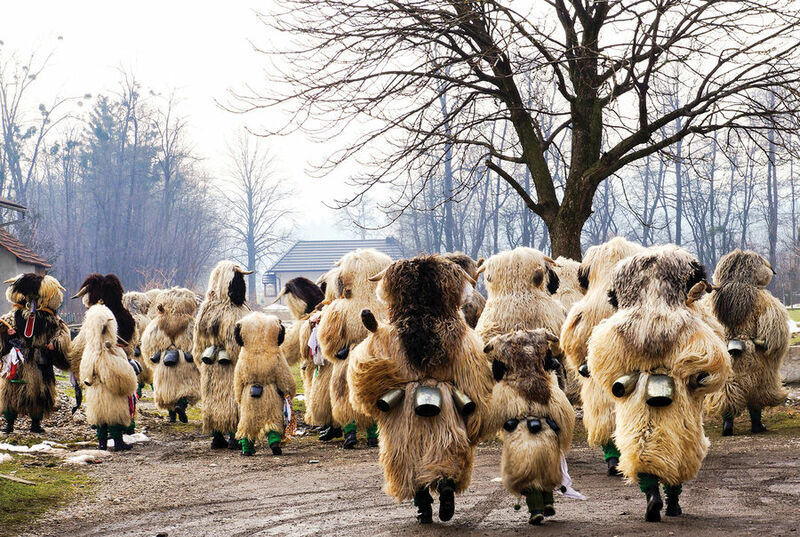 Kurentovanje starts with the Kurent costume, traditionally made of the stinkiest sheepskin hides available and worn with five heavy cowbells, which wearers clang as loudly as possible from house to house. Villagers appease the savage beasts with food and drink, hanging a sausage on the Kurent chief's stick — which is wrapped on one end with a spiny hedgehog skin. The main event is the big parade on the Sunday before Ash Wednesday. Thousands of spectators line the route. Guys crack long bullwhips, snapping the crowd to attention. 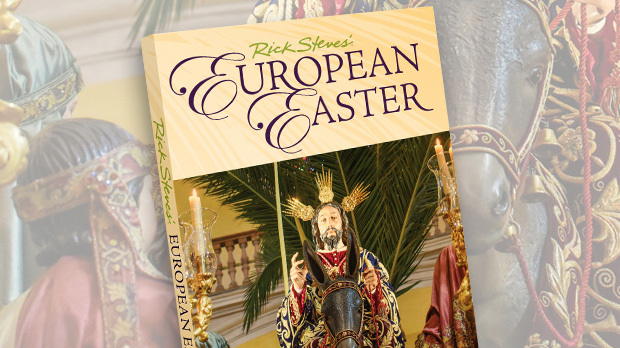 Costumed characters arrive: ploughmen to "wake up the soil," followed by a parade of symbolic animals, including giant hens (who lay the fertile eggs of Easter) and high-spirited horses (representing healthy livestock). An old woman carries an elderly man on her back, signifying carrying memories of departed ancestors. Oranges are tossed to the crowd from horse-drawn wagon, a reminder that the bounty of warmer weather is just around the corner. But the Kurents — more bizarre expressions of winter's ebb — are always the stars. If you're lucky enough to be in a European town during Carnival, let your hair down and experience some local customs while you celebrate these rites of spring.